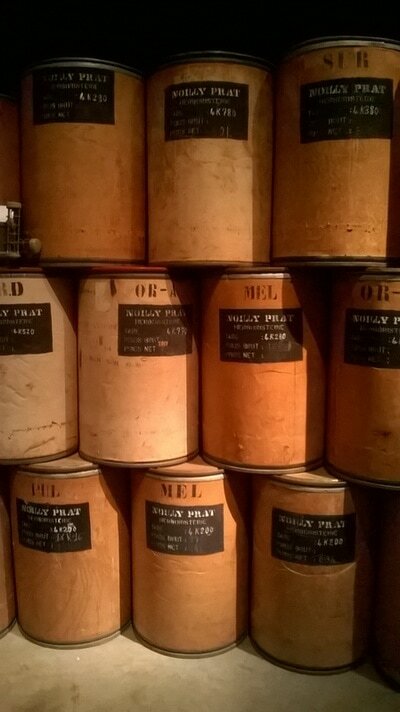 ​Spending an hour and a bit driving from Carcassone to have a look round a factory may not seem very appealing, but it’s a trip we’ve made a few times and - apart from the tedium of an hour on the the A61 autoroute – it's a good day out. 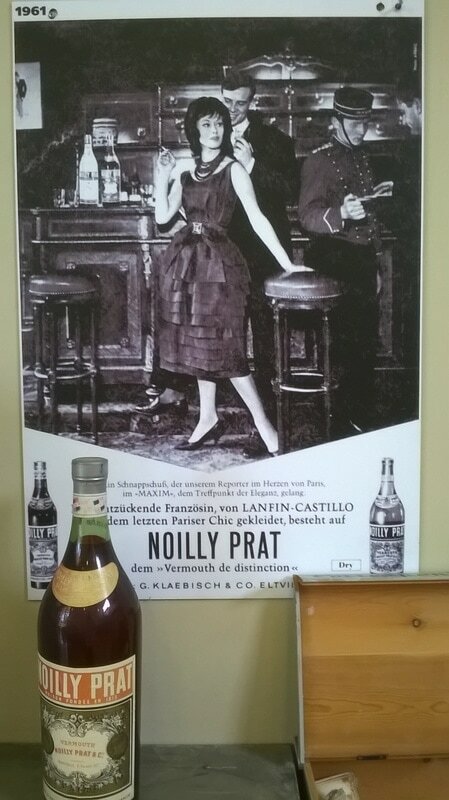 You may or may not know of Noilly Prat, a fortified herb and spice flavoured vermouth that can be quaffed by itself is or used in cocktails – the best known of which is the Dry Martini beloved of James Bond. Despite its world wide reputation the only place in the world it is made is in Marseillan which sits alongside the Mediterranean just to the east of Beziers. This delightfully unpretentious town has at its heart a 17th century harbour with a welcome serenity rarely found on any part of this coast. Low-level houses with wrought-iron balconies splattered with flowers straddle a channel littered with small boats and yachts, with a left bank of thriving restaurants and cafes. 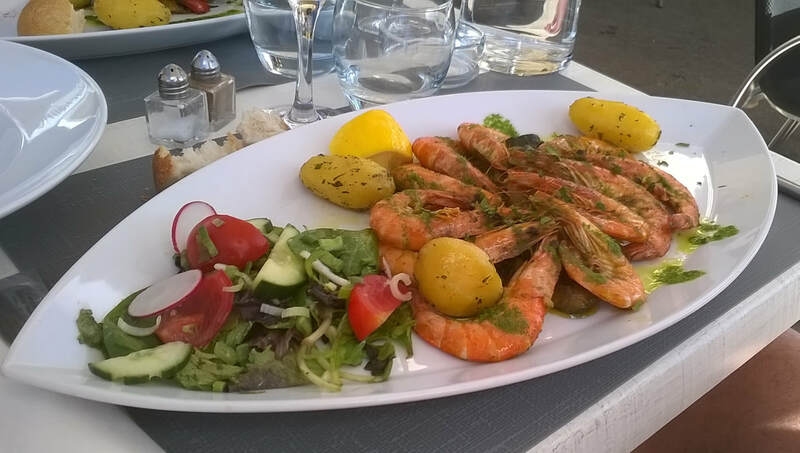 But that’s only part of your day – the seafood on offer at the restaurants lining the harbour is in our experience fresh and cooked to perfection. 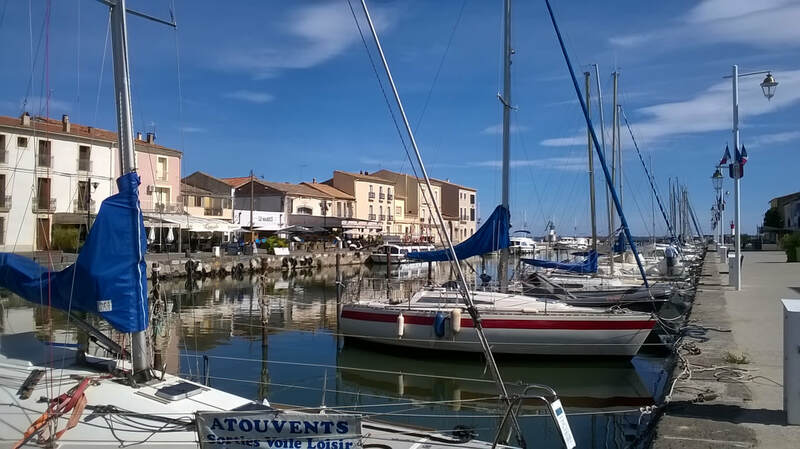 It is probably best to get to Marseillan around 11am so that you can have a walk around the small town and then peruse the restaurants along the quay to see which one suits you best. All are within a few yards of the quayside and there’s no finer way to enjoy lunch than people-watching at a small harbour. We always try to be seated by about 12.30 to enjoy a leisurely lunch and be sure of not having to rush the five minute walk across the bridge to Maison Noilly which - quite appropriately - dominates Place Noilly. From May to September there’s a tour in English at 3pm every afternoon*. It lasts about 45 minutes and is as entertaining as it is informative: the guide’s English is perfect and she provides a fascinating journey through the history and craft of the making of Noilly Prat. At the end of the visit there is a tasting of the different varieties they produce – and of course you can buy any number of items in the gift shop. On the way home Agde is worth a visit to see the Vieux quatre, and the nearby Tamarissiere beach is uncrowded and has safe bathing.